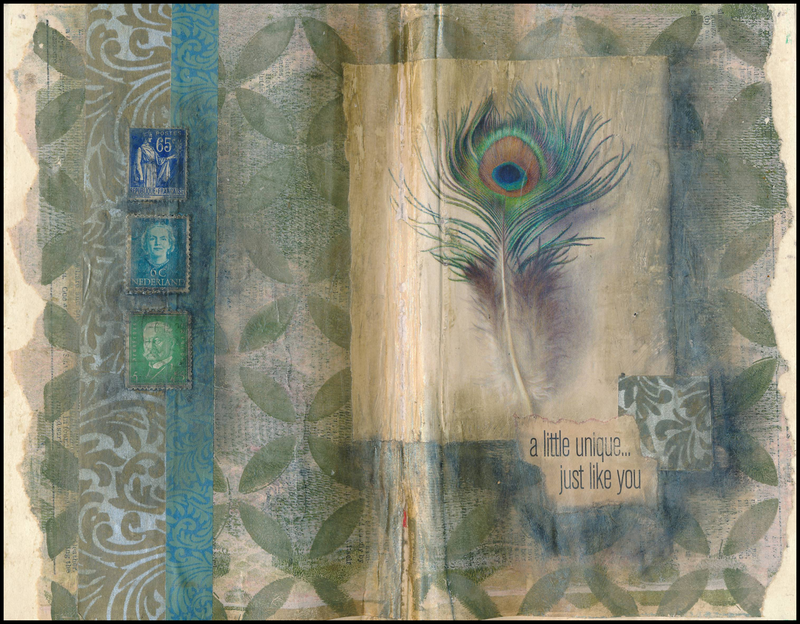 The background for this Art Journal page was made using a gelli plate printing on deli paper. I added washi tape, real postage stamps, a found image, and a phrase clipped from a magazine. The shading was done with a Faber Castell pastel crayon smudged with my finger. A little unique . . . just like you! Click on the image to enlarge it. Hope you and your family had a happy and relaxing holiday season. Wishing you a very Happy and Healthy New Year and lots of crafting time! I’ve been following your posts and what you have posted once again is just awesome! You are so creative and such an inspiration. Just thought I’d let you know that I too have been busy. I have now finished 11 of my China travel packets and am about to take on a new country or two. Looking forward to you coming up with some new classes this year.